Yesterday, UNHCR spokeswoman Carlotta Sami told the world that 700 migrants were feared dead off the coast of Libya. The boat they were travelling on had capsized, leaving only 28 survivors. There have been strong reactions to the event: human-rights activists are irate at the lack of a coherent European policy to assist these people, whereas in some darker parts of the internet, the event has been celebrated by the self-appointed guardians of Fortress Europe. Is there someone to blame? Something? The deaths of human beings cannot be characterised as merely unfortunate when they are happening so routinely, and so preventably as they are in the Mediterranean. Yes, Europe needs to deal with migration, and yes Italy and Spain resources to manage this migration are overburdened, but this does not make the deaths discountable. These are precisely the reasons why Europe cannot continue being lethargic on this issue. This is finally being recognised by European leaders, as Matteoi Renzi has called for an emergency summit this week to discuss how this migration can be better handled and future deaths prevented. This emergency summit will hope to renew European commitments to taking refugees and stem the recent rise in right-wing rhetoric and extremist positions which have caused so much disquiet in the European political landscape. Ban-Ki Moon, head of the UN, called for governments to show solidarity and accept more refugees, and Amnesty international called the event a “man-made”tragedy. And make no mistake about it: that’s what this is. The major upheavals taking place across the world are not isolated or ignorable, and turning away from them only fuels ignorance. There are massive disturbances happening in North-East and Central Africa, the Middle-East and in Eastern Europe. 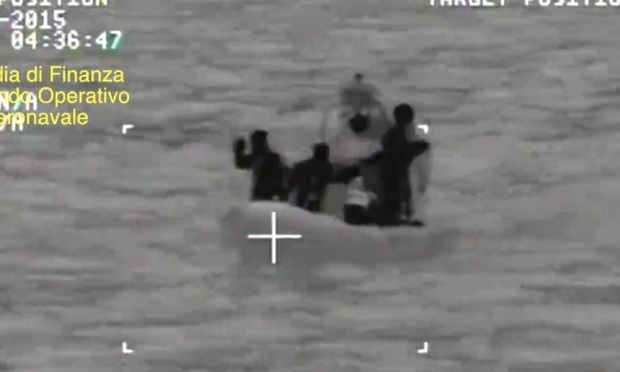 People will do anything to escape them, including taking risky boat journeys across dangerous waters. Europe, especially its major Western and Northern powers have a duty not only to the European project, but to the ideals of human rights and the dignity of human life to not only take in more refugees, but to help find diplomatic solutions to the problems unfolding in the world. Otherwise the 700 dead this week will be just another figure in a deeply saddening trend.